The University of Texas at Austin operates from UTexas.edu, and until 2016 it owned TheUniversityOfTexas.com. Sometime in 2014, however, the registrant’s email changed from “net-tech@its.utexas.edu” to “no.valid.email@worldnic.com” and they lost control of the domain. Eventually, it was acquired from a list of expired domains at Network Solutions, by an Indian firm. Earlier this year, the Board of Regents of The University of Texas System, filed a UDRP at the National Arbitration Forum. The Respondent, who did not file a response, attempted to sell it for $347 dollars via Afternic. Kenneth L. Port, Panelist, found the act to be in bad faith, and ordered the domain TheUniversityOfTexas.com to be transferred to the Complainant. Complainant is The Board of Regents of The University of Texas System (“Complainant”), represented by Alexandra H. Bistline of Pirkey Barber PLLC, Texas, USA. Respondent is LLC PERFECT PRIVACY (“Respondent”), Florida, USA. The domain name at issue is <theuniversityoftexas.com>, registered with GoDaddy.com, LLC. Kenneth L. Port as Panelist. Complainant submitted a Complaint to the Forum electronically on August 17, 2017; the Forum received payment on August 17, 2017. On August 18, 2017, GoDaddy.com, LLC confirmed by e-mail to the Forum that the <theuniversityoftexas.com> domain name is registered with GoDaddy.com, LLC and that Respondent is the current registrant of the name. GoDaddy.com, LLC has verified that Respondent is bound by the GoDaddy.com, LLC registration agreement and has thereby agreed to resolve domain disputes brought by third parties in accordance with ICANN’s Uniform Domain Name Dispute Resolution Policy (the “Policy”). On August 21, 2017, the Forum served the Complaint and all Annexes, including a Written Notice of the Complaint, setting a deadline of September 11, 2017 by which Respondent could file a Response to the Complaint, via e-mail to all entities and persons listed on Respondent’s registration as technical, administrative, and billing contacts, and to postmaster@theuniversityoftexas.com. Also on August 21, 2017, the Written Notice of the Complaint, notifying Respondent of the e-mail addresses served and the deadline for a Response, was transmitted to Respondent via post and fax, to all entities and persons listed on Respondent’s registration as technical, administrative and billing contacts. On September 14, 2017, pursuant to Complainant’s request to have the dispute decided by a single-member Panel, the Forum appointed Kenneth L. Port as Panelist. Complainant was founded in 1883 and is world-renowned for providing outstanding educational services at the college and graduate levels. Complainant provides educational programs in a broad spectrum of disciplines, such as architecture, business, communication, education, engineering, fine arts, law, liberal arts, nursing, pharmacy, sciences, and social work. Complainant registered the THE UNIVERSITY OF TEXAS mark with the United States Patent and Trademark Office (“USPTO”) (e.g. Reg. No. 1,351,805, registered July 30, 1985). See Compl., at Attached Ex. C. Respondent’s <theuniversityoftexas.com> domain name is identical to Complainant’s mark as it contains the mark in its entirety. Respondent has no rights or legitimate interests in the <theuniversityoftexas.com> domain name. Respondent is not commonly known by the disputed domain name, nor has Complainant authorized, licensed, or otherwise permitted Respondent to use the mark. Respondent also does not use the disputed domain name in connection with a bona fide offering of goods or services or legitimate noncommercial or fair use. Rather, Respondent uses the domain name in connection with a parking page with links leading to third-party websites offering goods or services related to those offered by Complainant, but which are not affiliated with Complainant. See Compl., at Attached Ex. D.
Respondent registered and uses the <theuniversityoftexas.com> domain name in bad faith. 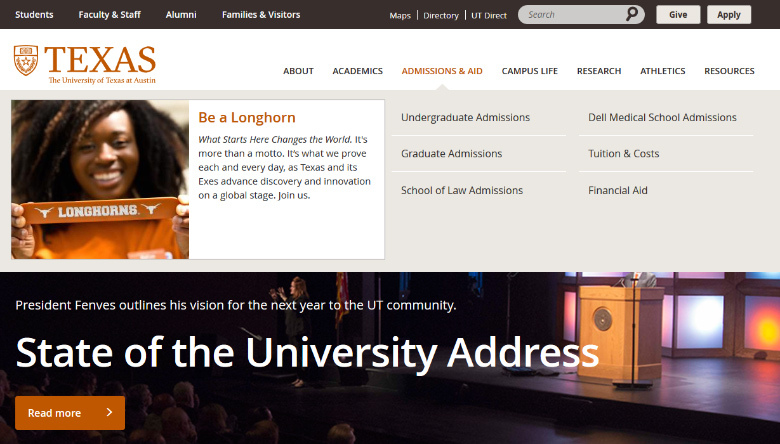 Respondent has intentionally attempted to attract, for commercial gain, internet users to its website by creating a likelihood of confusion with the UNIVERSITY OF TEXAS marks as to the source, sponsorship, affiliation, or endorsement of Respondent’s website and/or the links displayed on Respondent’s website. See Compl., at Attached Ex. D. Respondent’s bad faith is also evidenced by the fact that it has listed the domain name for sale for $347.00, well above any out-of-pocket expenses for registering the domain name. See Compl., at Attached Ex. E.
Respondent failed to submit a Response in this proceeding. Respondent registered the <theuniversityoftexas.com> domain name on February 14, 2002. The Panel finds that the disputed domain name is very nearly identical to Complainant’s trademark; that Respondent has no rights or legitimate interests in or to the disputed domain name; and that Respondent has engaged in bad faith use and registration of the disputed domain name. The Panel finds that the disputed domain name, <theuniversityoftexas.com>, is very nearly identical to Complainant’s valid and subsisting trademark, THE UNIVERSITY OF TEXAS. Complainant has adequately plead its rights and interests in and to this trademark. The only difference between the disputed domain name and the trademark is the disputed domain name deletes several spaces and adds the g TLD “.com.” This is insufficient to distinguish the disputed domain name from Complainant’s trademark. As such, the Panel finds the disputed domain name is confusingly similar to Complainant’s trademark. Further, the Panel finds that Respondent has no rights or legitimate interests in or to the disputed domain name. Respondent has no permission or license to use or register the disputed domain name and is not commonly known by the disputed domain name. Respondent also fails to provide a bona fide offering of goods or services or a legitimate noncommercial or fair use of the disputed domain name as the domain name resolves in a parked webpage containing links to services that directly compete with Complainant, presumably to commercially benefit from pay-per-click fees. Using a domain name to offer links to services in direct competition with a complainant does not constitute a bona fide offering of goods or services or a legitimate noncommercial or fair use. As such, the Panel finds that Respondent has not rights or legitimate interests in or to the disputed domain name. The Panel also finds that Respondent has engaged in bad faith use and registration of the disputed domain name.  Respondent offers the <theuniversityoftexas.com> domain name for sale on the WHOIS page for the domain name for an excess of out-of-pocket costs.  Offering an identical domain name for sale can evince bad faith registration. See Vanguard Trademark Holdings USA LLC v. Wang Liqun, FA1506001625332 (Forum July 17, 2015) (“A respondent’s general offer to sell a disputed domain name for an excess of out-of-pocket costs is evidence of bad faith under Policy ¶ 4(b)(i).”). Complainant provides a screenshot of the resolving webpage for the disputed domain name, which shows that Respondent displays the message “TheUniversityOfTexas.com is for sale! The owner of the domain you are researching has listed it for sale at $347.” See Compl., at Attached Ex. E. Accordingly, the Panel relies on Respondent’s offering of the domain name for sale to the general public as evidence of bad faith registration under Policy ¶ 4(b)(i). Complainant further argues that Respondent registered and is using the <theuniversityoftexas.com> domain name in bad faith by creating a likelihood for confusion as to the source, sponsorship, affiliation, or endorsement of the disputed domain name to commercially benefit by offering competing goods or services through click-through links. Using a disputed domain name to trade upon the goodwill of a complainant for commercial gain can evince bad faith under Policy ¶ 4(b)(iv). See The Dress Barn, Inc. v. Pham Dinh Nhut, FA1503001611220 (Forum May 15, 2015) (“The Panel agrees that Respondent’s inclusion of various hyperlinks; some of which direct Internet users to competing websites of Complainant, some which direct Internet users to Complainant’s own website, and some of which are unrelated to Complainant’s business; evince bad faith attraction for commercial gain.”). Complainant’s provided screenshots demonstrate that Respondent’s domain name contains links such as “UT College” and “UT Austin TX,” among others. See Compl., at Attached Ex. D. The Panel finds that Respondent attempted to commercially benefit off Complainant’s mark in bad faith under Policy ¶ 4(b)(iv). Finally, given the totality of the circumstances, the Panel finds that Respondent registered the disputed domain with actual knowledge of Complainant’s rights and interests in and to the trademark at issue, THE UNIVERSITY OF TEXAS. It is somewhat incredulous that it took Complainant 15 ½ years to discover Respondent’s use and registration of the very trademark by which Complainant promotes its university, but that issue is not before this Panel. As such, the Panel finds that Respondent has engaged in bad faith use and registration of the disputed domain name. Accordingly, it is Ordered that the <theuniversityoftexas.com> domain name be transferred from Respondent to Complainant. Theo – you said the India company got it in 2014 or 2016. The Panel says the Respondent registered it in 2002. Which was it? Logan – My research shows UTexas.edu as the registrant until 2016. The Indian speculator held it only for a short while.